A deranged alchemist named Cortez discovers a potion that restores youth, but it requires the tail spikes from stegosauruses, which he is systematically hunting and killing. While investigating the dinosauricides, Karl and Marion have a run-in with the Outsiders. Karl discovers a radio in a wrecked ship and manages to get it to work, dreaming of using it as a way to leave Dinotopia. However, no one else agrees with him. Then the radio picks up a distress call from an outside world. The theft of a dinosaur egg during a special celebration sparks an incident with the Outsiders and Le Sage when its discovered a dinosaur egg has been switched with that of a T-Rex, which hatches and wreaks havoc at the dinosaur nursery. Frank arranges a boxing match between David and Alano, one of LeSages Outsider crew. Meanwhile, Frank and LeSage become friends, and the senate tries to find a way to ban the fight. Karl must learn some lessons in love, when a toad, the Wartosa Vulgaris, sends him into a time loop. Stuck in time, he has to keep reliving the same passionate moment with Marion until he gets it right. Crop-harvesting dinosaurs are infected by a virus, and Le Sage has stolen the only medicinal plant that can help. Frank creates a car but when it begins to pollute Dinotopia, Mayor Waldo bans it. Frank, out of revenge, runs for mayor and wins, and allows the car to continue. However Frank soon learns the error of his ways, and resigns, allowing Waldo to return to his job. 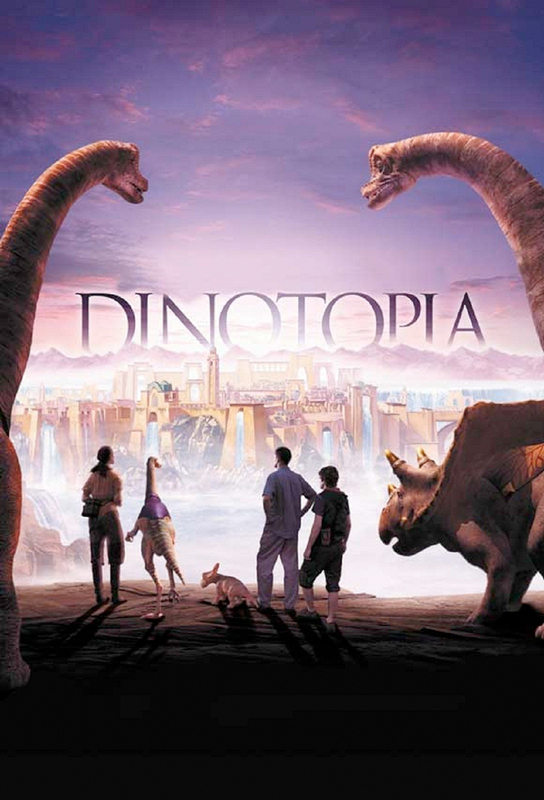 Karl finds a lost civilization within Dinotopia, who have never even heard of Dinotopia. When Karl is bitten by a poisonous mosquito, Dinotopia cannot provide him with an antidote, so David must embark upon a dangerous mission through a secret portal back to the world he used to call home. The rescue mission is thrown into chaos when David, LeSage and the Chasmosaur take a wrong turn: instead of arriving in New York, they find themselves in Budapest. While trying to decide whether to return to their modern world, Karl, David and Frank must make even tougher decisions: will Marion go with them and who is plotting Dinotopias downfall?